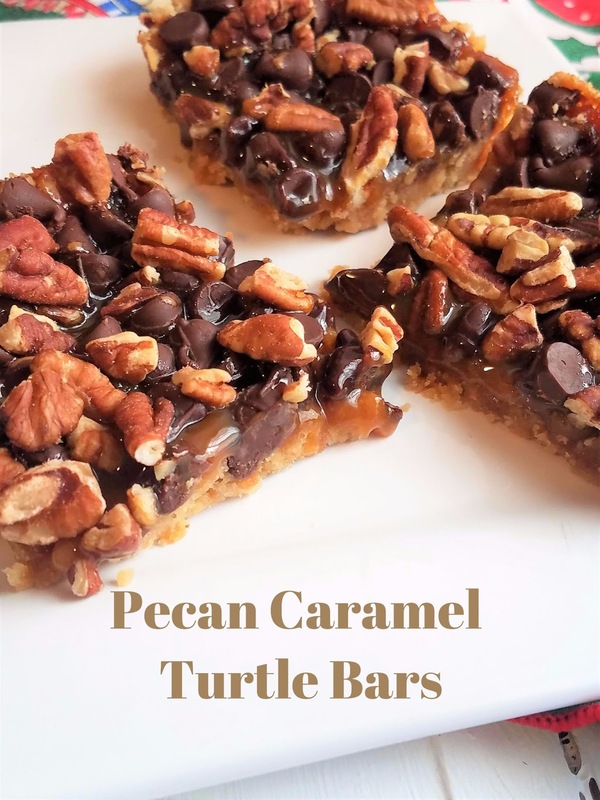 Pecan Caramel Turtle Bars have all the taste of those wonderful candies, but in a very fast & easy to assemble bar cookie that your guest will go crazy over! They are sure to become a classic you make every year! 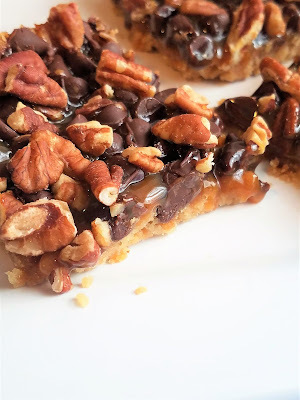 These easy to make bar cookies have a wonderful sweet and buttery cookie bottom, topped with chocolate, pecans and caramel and then baked to perfection, that with your first bite, will become your secret addiction! It's Cookie Week and bloggers are gathering together all week to give you a wonderful selection of great cookie recipes to ad dto your holiday baking, treat trays, and gifts for giving! 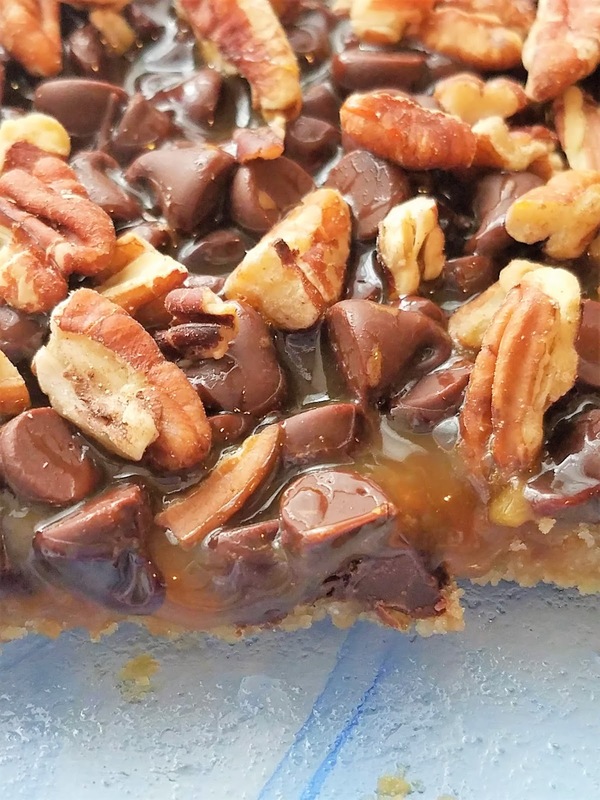 A must have classic additon to your annual baking tradition made easy with this recipe! In just moments you can have these popped into the oven! 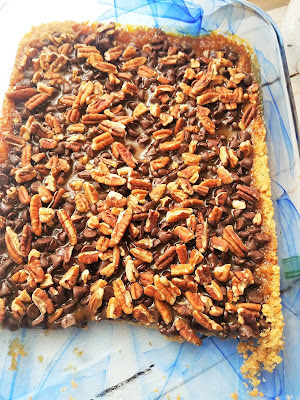 It starts out by using Vanilla Wafer cookies as the cookie crumb base, then just sprinkle, pour and pop into the oven! The hardest part?? Waiting while it cools! 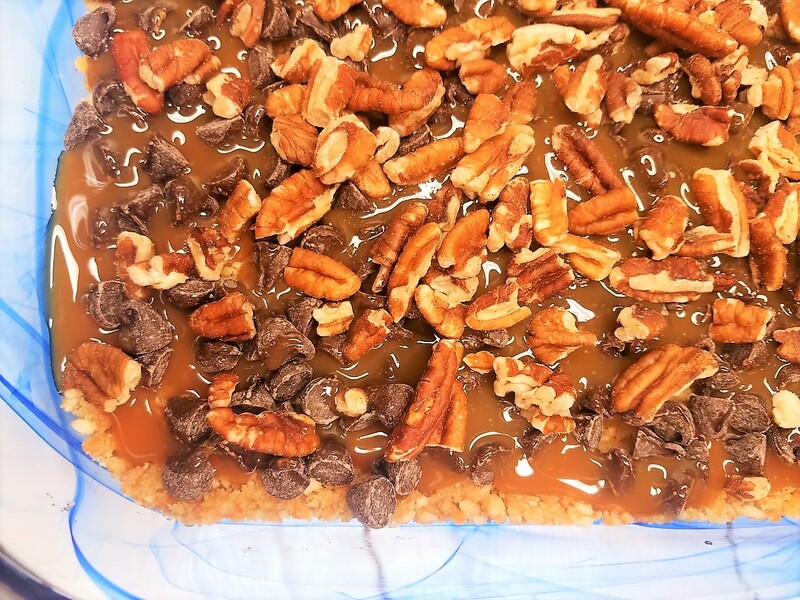 Its best to let it cool both on the counter for awhile and then in the fridge.. so you're patience is tested to the max on this one, in the taste testing department! But once you cut into these sweet treats?? Your Patience is rewarded! It is delicious! A gourmet, classic bar cookie with the taste of a turtle candy, yet fast and easy to bake. 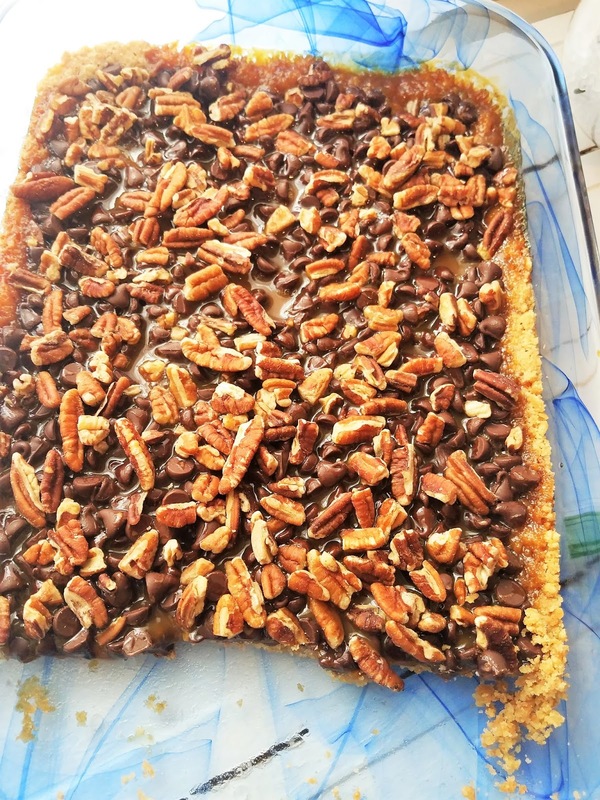 Preheat oven to 350 °.Crush Vanilla Wafers in a blender or food processor into fine crumbs. Mix with melted butter till well blended.Press crumb mixture into a 9" x 13" pan, pressing down firmly and evenly. Sprinkle on Chocolate chips evenly over Crumb mixture. 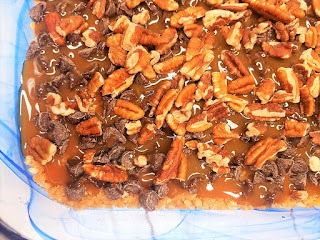 Top with chopped pecans.Drizzle the jar of caramel sauce evenly over the entire mixture. Bake 20-25 minutes till edges of cookie base are starting to brown.Remove from oven, and let cool 1 hour..
Place in refrigerator 2 hours before cutting into bars. I love how simple, yet rich these bars are! I love that the crust is made with nilla wafers...these look terrific. I love pecans in cookies! Oh my goodness... I'm worried about my complete lack of self control now that I've seen this recipe! I love everything about Turtles. And Nilla wafers?! I love this idea! I can see hiding these from everyone else in the family so I could keep them to myself.